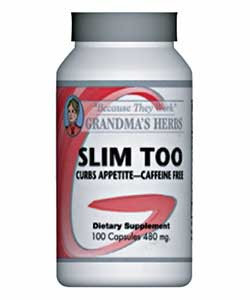 Weighty Matters: Which "Natural" Weight Loss Supplements Really Work? Which "Natural" Weight Loss Supplements Really Work? The ones laced with prescription weight loss drugs. You see the thing is, there is far less regulation with nutraceuticals than pharmaceuticals. With real drugs potency and ingredients are tested, studies are conducted to determine efficacy and safety and mandatory reporting of serious adverse effects exists. The same can't be said about "natural" products. Perhaps this is why on a weekly basis I get a report from Health Canada detailing the week's latest recalls. Honestly, if there really was a natural product that was both effective and safe for weight loss, do you think it'd be a secret? Of course not, quite the opposite as the company that made it would ensure that a copy of the studies proving the product's safety and efficacy were on every single physician's and reporter's desk in the world. When it comes to "natural" weight loss products. If your doctor doesn't recommend a particular weight loss aid it's safe to assume that to date it hasn't been proven to be safe and effective and therefore also safe to assume it's probably a waste of your money and potentially a risk to your health. Oh, and if you think that doctors don't recommend "natural" products because of a global conspiracy to keep people ill, may I suggest you go to see the new X-Files movie.